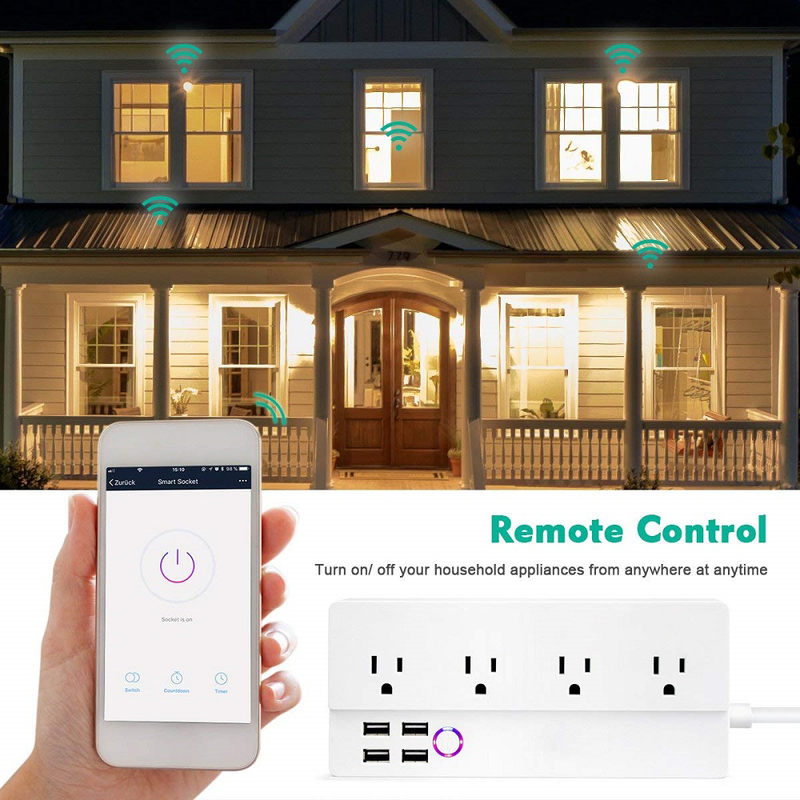 · 【REMOTE CONTROL】: You can remote control the smart power strip alexa from anywhere at anytime, no hub required. 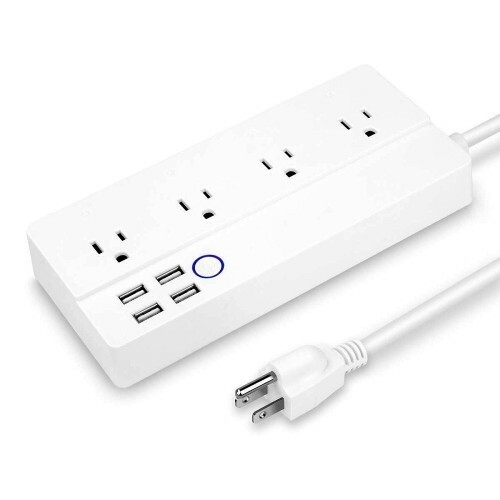 It is equipped with 4 smart AC outlets and 4 USB ports with 6ft extension cord, can provide a convenient power supply for home appliance. 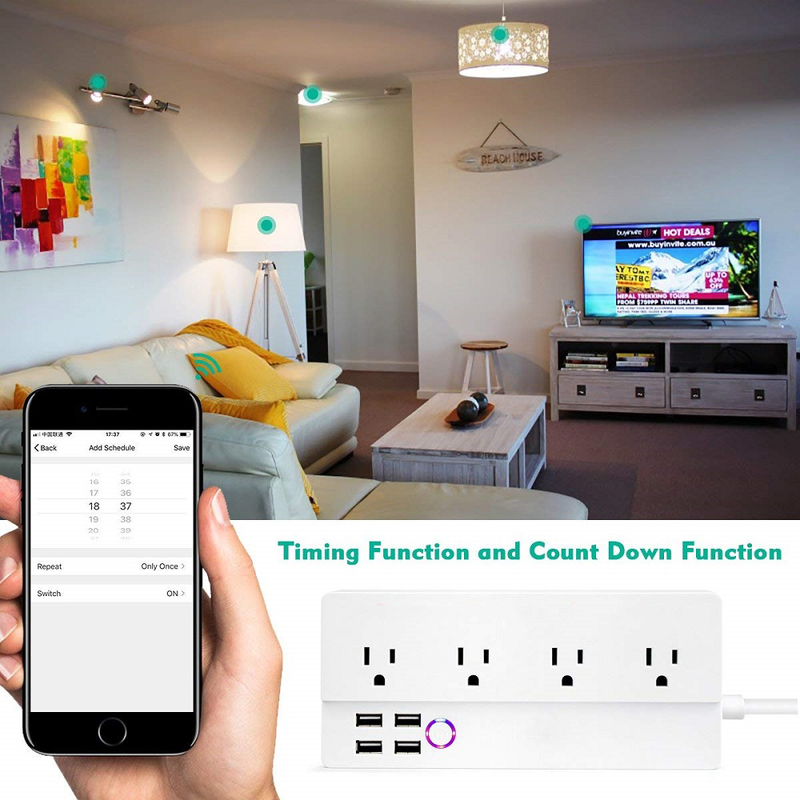 · 【TIMING FUNCTION】: Schedule your smart wifi power strip to turn on or off anytime as pre-set time, you can set up the time separately for each AC outlet or 4 usb ports as you needed. 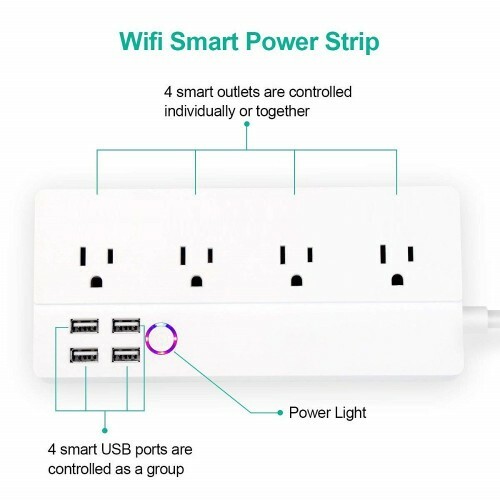 APP control Quantity can reach 30 smart outlets at same time. 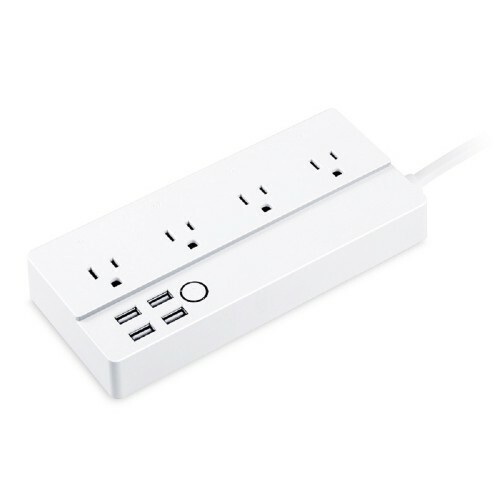 Each smart power strip can set up to 20 groups of timing tasks. Share access up to 30 smart cellphone control. 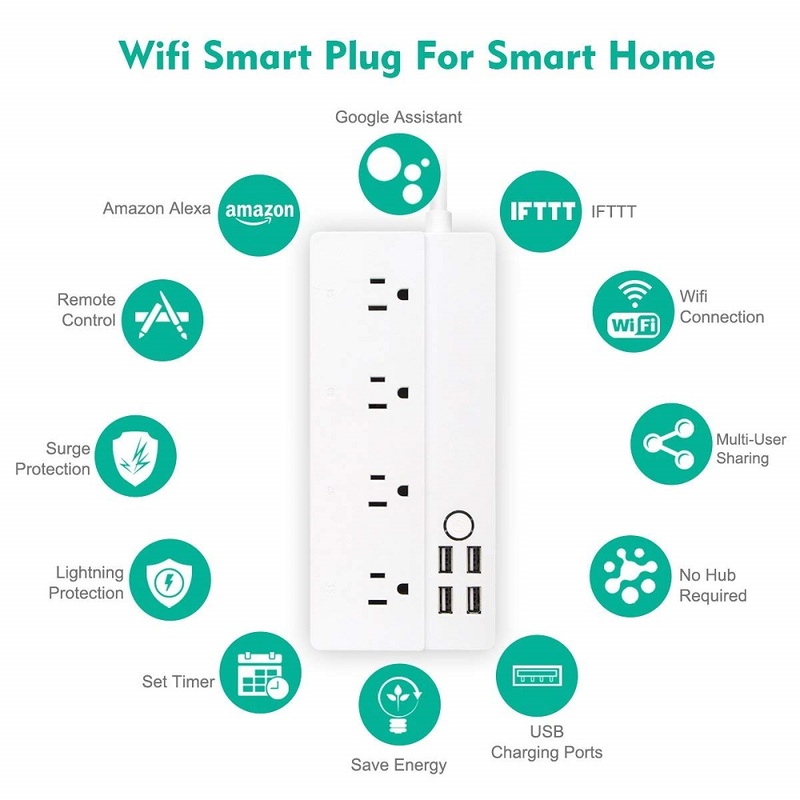 · 【USE SAFETY】: The wi-fi smart power strip outlet is equipped with surge protector, over-current protection, overload protection, over-heated protection and lightning protection,can effective absorb the sudden huge energy, protect your equipment and your home safety. It also have a separate safety door to prevent children and pets accidentally touch the socket, keep away from danger. 1.The wifi plug supports 2.4Ghz Wi-Fi network only. 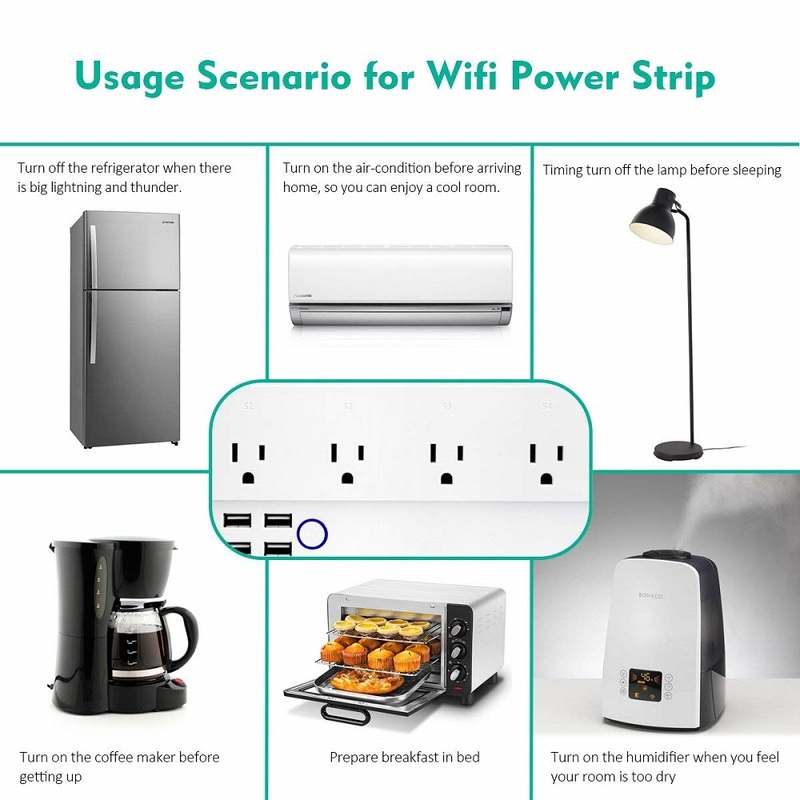 3.Please do not connect to any household appliances over 2000W. 4.The 4 smart outlets can be controlled individually or as a group while the 4 USB ports only can be controlled as a group. 5.If you have further query please feel free to contact our customer service by email. Our friendly colleagues promise to answer within 24 hours. How to Use with Amazon Alexa? How to Use with Google Home? 1. Launch Google Home app, click "Home Control", on top right, click"+". 2. In the list, input "Smart Life", find & launch, bind "Smart Life" app account, follow the prompts. Then it appears in "Devices". 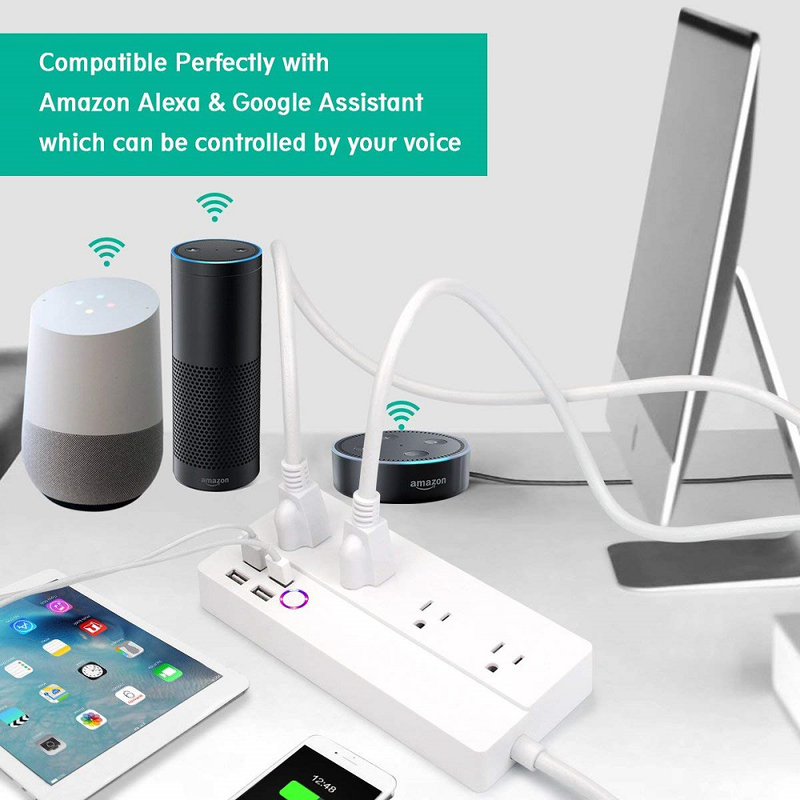 remote control the smart power strip alexa from anywhere at anytime, no hub required.